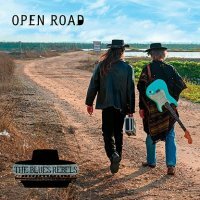 This is a pretty decent album - true Blues fans should love it. 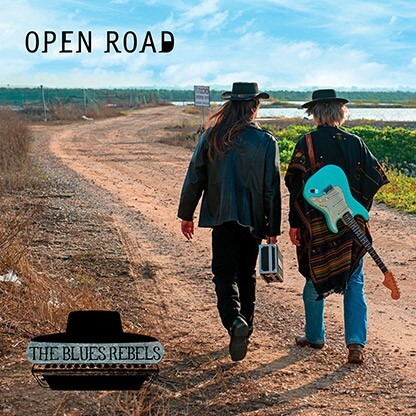 The Blues Rebels are essentially the duo of Dov Hammer (vocals, harmonica) and Andy Watts (guitar), augmented by bassist Amos Springer and drummer Avi Barak. Initially formed in 2012, they have performed with various acts, most notably Johnny Winter. As their name implies, Blues is very much the name of the game here, though it's a pretty lively affair throughout. The Boogie opener 'All I Want', with a gritty feel due to its Southern Rock inspired riff, and the driving Rocker 'Seen The Light' sandwich the gentler, almost Poppy sounding 'Before The Jubilee'. 'Devil By My Side' and 'Secret Smile' are numbers that return to that Boogie sound, 'What If' has a moodier, almost darker, vibe and 'Reason To Live' heads into a shuffling Bluegrass Country style, something that also creeps into the albums solitary ballad 'Looking In'. Personally though, I'm not overly keen on the Jazzier feel of 'I Don't Mind' and 'Trying To Get Paid'. That said, as I'm not a devout Blues aficionado, the one thing that truly spoils the album for me is the fact that Hammer whips out his Harmonica regularly – it makes an appearance on every single track and quickly becomes an irritant for my personal tastes. Watts, however, is the true star of the show with a series of highly impressive guitar workouts – the slow instrumental 'Open Road' (very Mark Knopfler-ish in places) that closes the album is the utmost shining example of his talents. I'm not a Blues lover but, that damn harmonica aside, this is a pretty decent album – true Blues fans should love it.